Located in the enchanting town of Izamal, Coqui Coqui Casa de Los Santos offers a peaceful and secluded retreat for explorers. 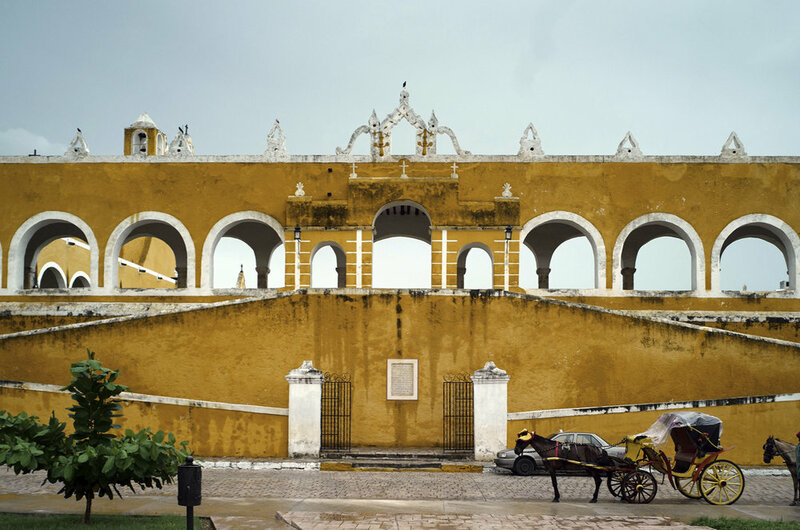 Known as the “yellow city,” Izamal is a jewel of the Yucatan Peninsula. When Pope John Paul II visited its striking Catholic convent in 1993, all of Izamal’s buildings were painted a golden shade of yellow. The city boasts distinctive cobblestone streets, iron lamp posts, and gorgeous colonial buildings, that are all highlighted by Izamal’s signature sun-kissed shade. This revered destination, known as a ‘pueblo magico’ is graced with natural beauty, cultural riches, and historical importance. Situated between Merida and Valladolid, Izamal is comprised of 3 distinctive cultural histories — ancient Mayan, colonial, and contemporary Mexican. As the Yucatan’s oldest city, Izamal is home to five pyramids that serve as historic monuments. 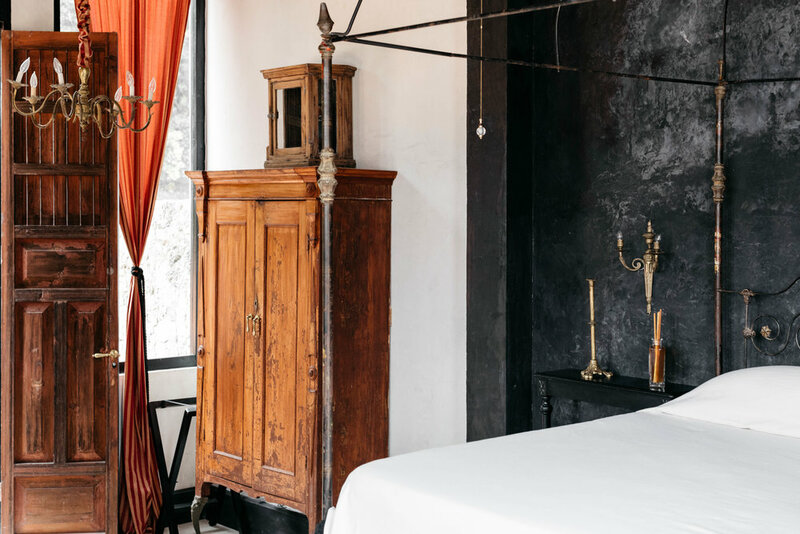 Coqui Coqui de Los Santos fuses these worlds of folklore, history and modernity all within this captivating residence that serves as an ode to both the historical and religious importance of such a magical place on the map. Featuring an air of contemporary flair, religious reference, and indigenous folklore, Coqui Coqui is housed in a restored colonial building with authentic peeling wall frescoes, antique tapestries and ornate floor tiles that neighbor the ancient Mayan ruins. Inside, you’ll find our open-air patio space that features a plunge pool, terrace, and rustic open kitchen that’s framed by wooden arches and columns. 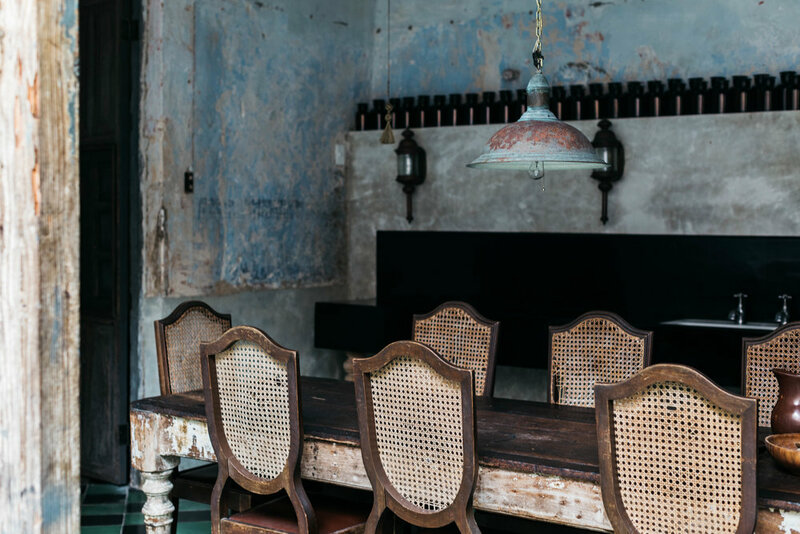 Casa de Los Santos is a place filled with beauty, history, and mysticism and proudly one of the most historically important residences in the Coqui Coqui family. As with other Coqui Coqui residences, Casa de Los Santos features its own apothecary and perfumery that showcases the complete Yucatan Collection of perfumes, home fragrances, oils, and scented candles. 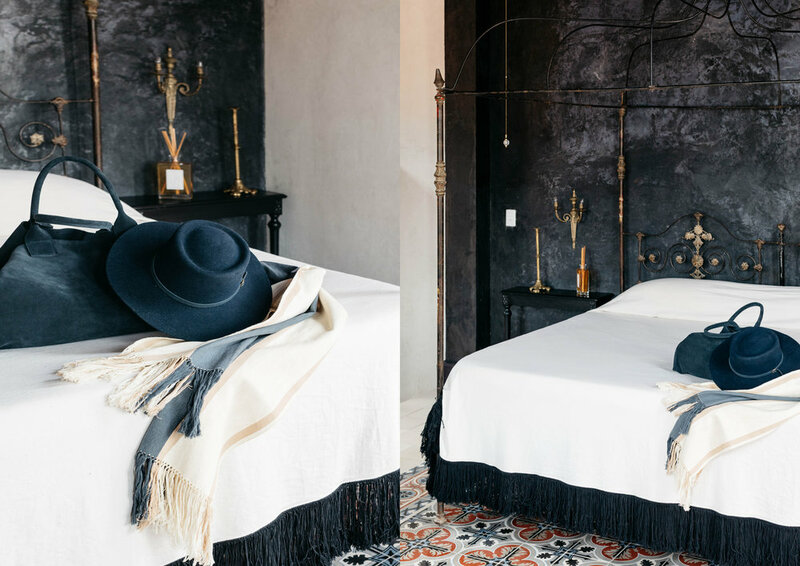 The one-room suite sits adjacent to an ancient Mayan pyramid and serves as a space that keeps true to the Coqui Coqui style while also honoring the three cultures of Izamal. Enjoy the flair of enchantment, while lounging poolside or relaxing in the outdoor patio space. Dare to explore your spiritual curiosities by discovering the antique figurine saint collection featured within the residence, or simply allow your troubles to disappear while finding serenity in the spa. This place will become your refuge and backdrop for exploring the mystical and enigmatic essence of Izamal. Allow yourself to become fully enveloped by the magic that Izamal’s Casa de Los Santos has to offer.